Come support Holy Family School and Holy Family Church at the Easter Fair at the school grounds beginning at 10:00 AM Easter Sunday! Holy Family Catholic Church is a Catholic faith community serving Hopkins Village, Belize and the surrounding area. 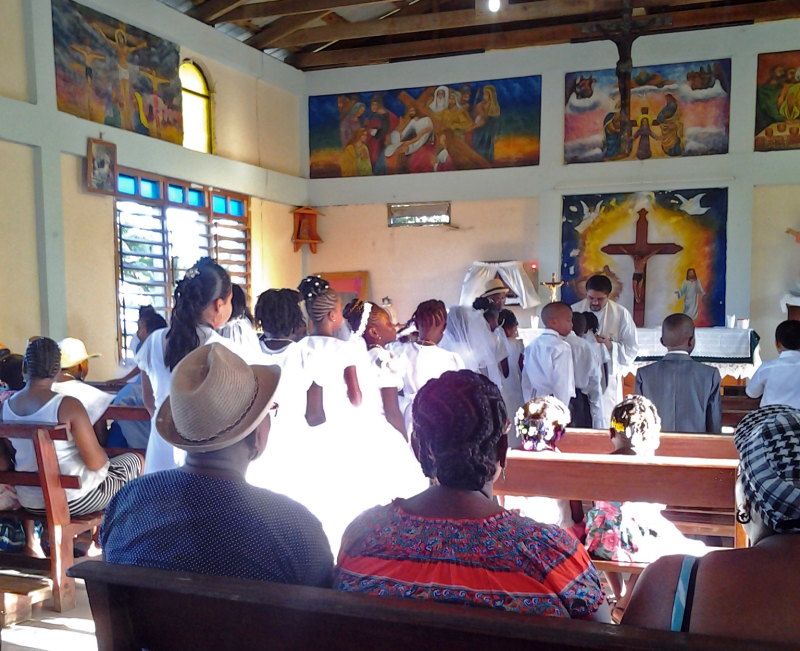 We are a part of Sacred Heart Parish in Dangriga. We are located on the beach side of the main village road in Hopkins, south of the Hopkins road junction, and directly across from Holy Family Roman Catholic School.